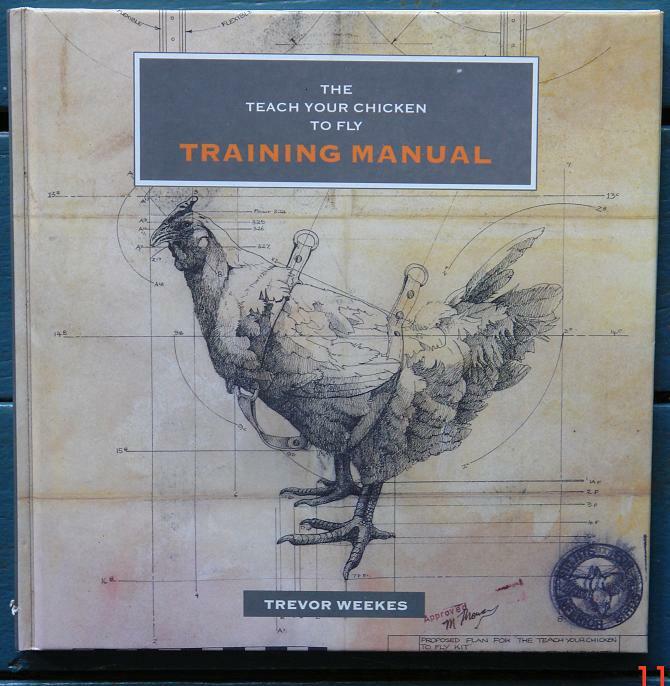 Backyard Poultry Forum • View topic - teach your chicken to fly training manual. teach your chicken to fly training manual. Post subject: teach your chicken to fly training manual. Post subject: Re: teach your chicken to fly training manual. Oh goodness! Where on earth did you find that! Evidently whoever wrote it hadn't met any pit game. Those things almost fly over you! Fantastic. I'll look out for it in the National Library bookshop. They usually stock most Aussie things. The illustration on the front looks very good (and amusing). And the intro is a laugh. Nice premise for a book. ... and little weights hanging in a line on the wall nearby? how did you know? And how the hell can my hens get credit cards when I can't? They have debit credit cards so they are spending their own money online! what a great book ruff. 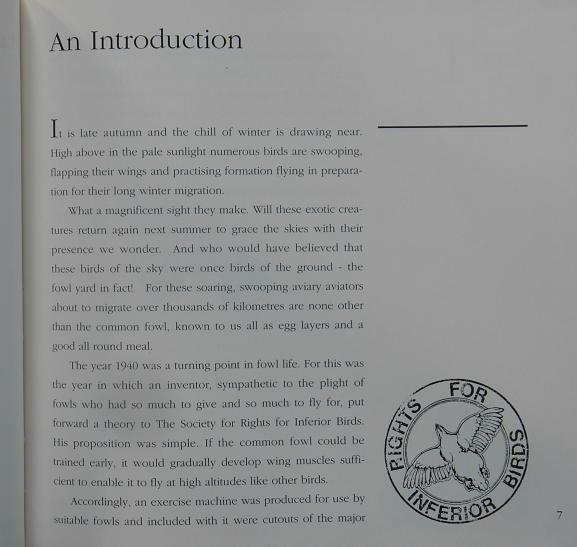 I just love the chook bum silhouette of the flying chook in the emblem or watermark at the bottom of the page. Thanks for the laugh ruff. I'm bumping this old post up. 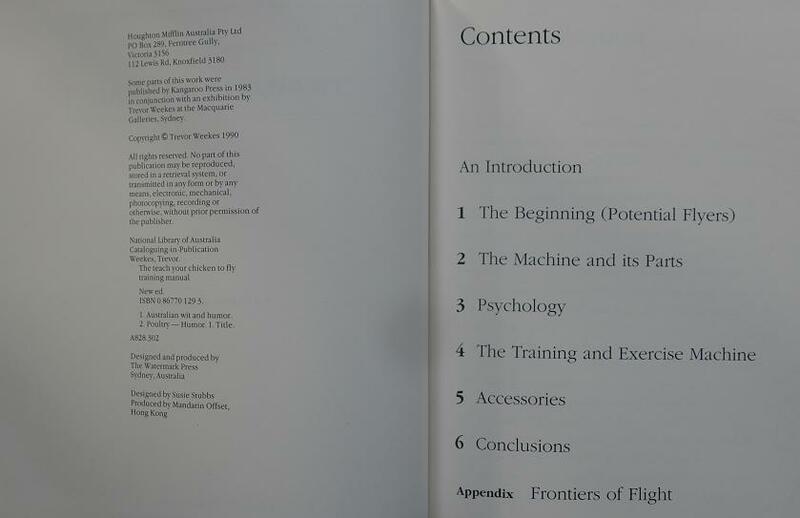 Looking through my shelves of books, I came across my copy of Teach Your Chicken to Fly - Training Manual. the illustrations are quite delightful. The concept absolutely precious. If you're a chook lover, and no doubt you are if you're in here nosing around, then you can't afford to miss out on this unusual book with its amazing illustrations.